There is water everywhere in Netherlands. Rivers, lakes, canals and don’t forget the extensive Dutch coast. With more than 7,000 km of waterways and many lakes it is not surprising that there is an abundance of Boating and sailing activities to try out. One of the best and highly visited places is Amsterdam with miles of canals to navigate, the perfect choice for those who like to explore. For expert information and advice about buying or selling boats and yachts in Netherlands contact one of our experienced advisers who will be happy to assist you. 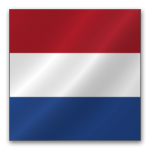 Below is the current list of boats for sale in Netherlands that are available to our network.